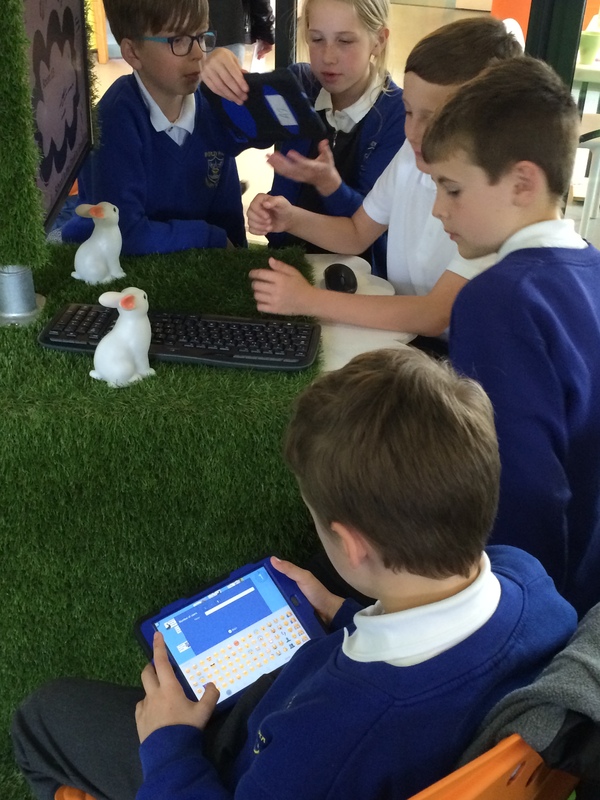 It was a pleasure to work with Reflective Thinking from Newcastle to explore one of their new apps. We worked with Byerley Park Primary- Year 5- who are a wonderful class that have done lots of SOLE sessions with us and are great at working in a self organised way. They explored “Theo” an digital mystery app about Ancient Greece. They are based on an established paper-based learning tool, it is popular with teachers who value problem-solving and collaboration due to its open-ended nature and focus on group work. From a library of mysteries on various subjects, students are given 20-30 slips of information. They usually have a strong narrative thread about people experiencing events. The process typically involves reading the information slips and grouping them. Students can then create a sequence which represents their answer. One of our history teachers, Mr Davies from the Sunnydale Campus, explored a digital mystery app that allowed young people to think out voting. They used the digital mystery app to consider Where should Grace Feng should put her cross on May 7th and why? Looking forward to working together again soon and exploring more digital mystery fun! We are really pleased to be hosting the Durham Teaching School Alliance conference of “Creativity and Innovation in Learning Conference” this June. The programme looks very exciting and includes speakers Dr Tom Robson, Leslie Patterson Headteacher of Etherley Lane Nursery and Mark Turner Head Teacher of Durham Gilesgate Primary School and us! The day will explore how we learn, whether we can learn without a teacher, how environments affect learning and how we make sure that learning is meaningful, fun and inspirational. The Engine Heads will play a very important part in the day and will be leading the session about self organised learning. They will talk about how they have affected learning at our school but also other partners that we have worked with too. They will talk about the value of self organised learning from their point of view and their experience of working in a different way leading their own learning. The conference is on 19th June and if you want to find out more you can get in touch with Joe Sonnerfield at The Durham Teaching School Alliance.